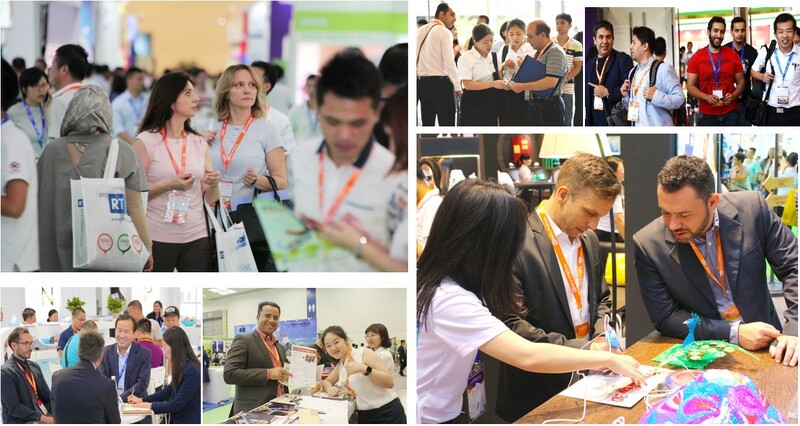 The world’s largest show for printer consumables industry—the 12th RemaxWorld Expo—will be held in Zhuhai in October 18-20, 2018 in the Zhuhai International Convention & Exhibition. Registration is now open to visitors from all over the world. When you exhibit at RemaxWorld Expo, you get to present your solutions to a targeted audience. Engage in face-to-face meetings with key prospects and create genuine business contacts! Click here to register！For more information about the event, please visit https://www.rtmworld.com/2d/events/remaxworld2018/. Recycling Times Media Corporation (RT Media) educates, informs and provides networking and business opportunities for the 2D and 3D printing industry. The RT Media international team comprises talent from Australia, America, Germany, Spain, Mexico, Hong Kong, and China. RT Media is the organizer of RemaxWorld Expo, the world’s largest print consumables trade show event held each year in Zhuhai, China—the world capital of print consumables manufacturing. RT Media also organizes the RT Imaging Summit & Expo—Americas, RT Imaging Summit & Expo—Europe and World Toner Conference. RT Media publishes regular inTouch TV News bulletins and monthly editions of the Recycling Times magazine for the global industry-separately with Chinese, English, Spanish, Korean and Russian editions. In the 3D printing arena, RT Media organizes the world leading professional 3D printing trade shows—Inside 3D Printing Conference and Expo—Shanghai and iPrint 3D Expo. RT Media was also the first to publish a monthly Chinese magazine focusing on the 3D printing industry—3D Printing World.